Photos courtesy of Daniel Heney. Deciding which subfloor system works best for your sports flooring needs is a very important decision. 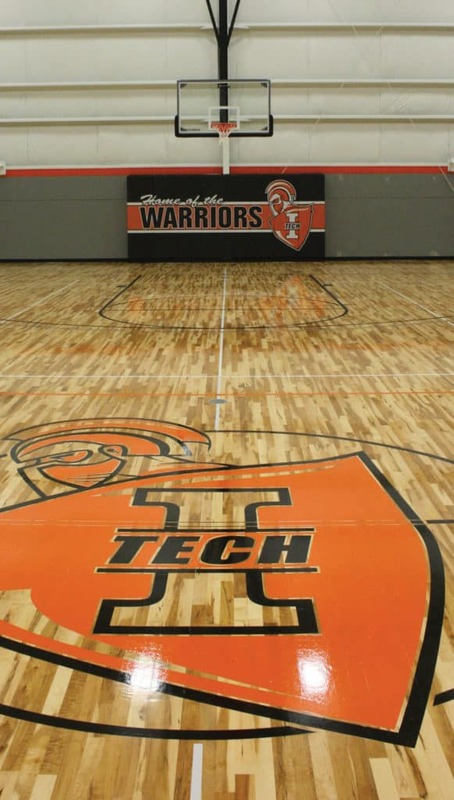 Sports floor manufacturers have spent years testing and developing a host of subfloor systems to meet the needs of athletes and other facility users alike. There are three basic subfloor designs: floating systems, fixed systems, and anchored resilient systems. There are benefits and drawbacks to each basic design category depending on the unique parameters of your project. Floating systems are exactly what they sound like – they “float” over the concrete substrate and are not mechanically fastened to the concrete slab. Anchored resilient systems are mechanically fastened to the concrete substrate but have a combination of components that allow varying degrees of additional resiliency. 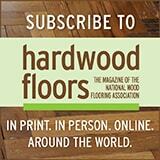 Start your selection process by asking questions: Who will be using this floor? What activities will be performed on the surface? 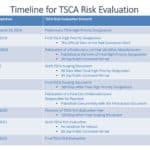 How often will the facility be used in an average year? Is the facility going to be subjected to long idle periods? 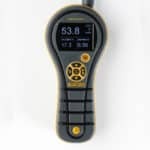 What is the climate in the area of the installation? What type of HVAC system is utilized in the space? Is the installation below grade, on grade, or above grade? 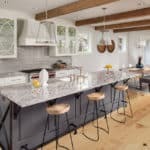 Answers to these and other questions will help you to eliminate subfloor designs that are inappropriate for your project. This system consists of a resilient pre-engineered fixed panel system with maple flooring stapled or nailed to the resilient subfloor. This system provides the stability of a traditional fixed system, but with resilient properties similar to a floating system. This system consists of resilient fixed plywood sleepers with a continuous subfloor system with maple flooring stapled or nailed to the resilient subfloor. This system provides the stability of a traditional fixed system, but with resilient properties similar to a floating system. The cushioned sleeper floating-floor system consists of 2″ x 3″ x 4′ (nominal) kiln-dried hemlock, spruce, pine, or fir sleepers installed over resilient pads. The pads are mechanically fastened to the bottom of the sleepers and generally are spaced at 1′ intervals on the sleepers. The sleepers with pads are installed end to end at right angles to the direction of the maple surface with end joints staggered 24″ in adjacent rows. Sleepers are spaced between 8″ and 16″ O.C. depending on the thickness and grade of the maple flooring surface and the resiliency required for the project. The surface maple, sleepers, and pads are installed over a seam-sealed 6 mil polyethylene vapor retarder. The cushioned sleeper with plywood floating-floor system consists of 2″ x 3″ x 4′ kiln-dried hemlock, spruce, pine, or fir sleepers installed over resilient pads. The pads are mechanically fastened to the bottom of the sleepers and generally are spaced at 1′ intervals on the sleepers. The sleepers with pads are installed end to end at right angles to the direction of the finished maple surface with end joints staggered 24″ in adjacent rows. 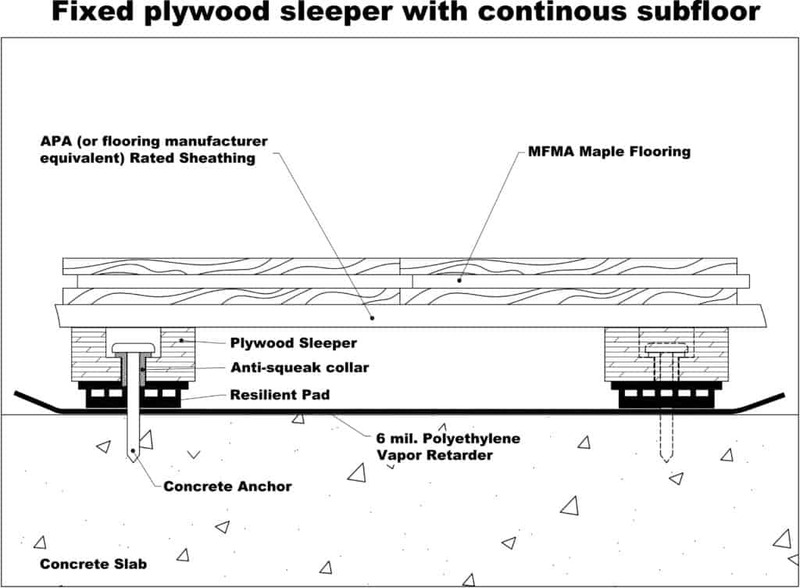 Sleepers are spaced 12″ O.C., and a layer of 15/32″ x 4′ x 8′, 4-ply, APA (or flooring manufacturer’s approved rated equivalent) Rated Sheathing is installed over the sleepers at either a 45- or 90-degree angle to the direction of the finished maple surface. The surface maple, sheathing, sleepers, and pads are installed over a seam-sealed 6 mil polyethylene vapor retarder. This low-profile floating-floor system consists of two layers of 15/32″ x 4′ x 8′, minimum 4-ply, APA (or flooring manufacturers approved rated equivalent) Rated Sheathing, Exposure 1, or per flooring manufacturer design. The subfloor generally is installed at 45- and 90-degree angles to the direction of the finished maple surface. Resilient pads are mechanically fastened to the underside of the bottom layer of plywood and generally are spaced at 1′ intervals (32 per plywood sheet). The surface maple, plywood, and pads are installed over a seam-sealed 6 mil polyethylene vapor retarder. Now you have an idea of the types of subfloor systems available and probably already have a couple of options in mind for your project. The next important step is matching your chosen subfloor system with an appropriate maple flooring material. 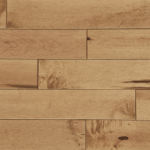 There are several types of maple surfacing products from which to choose. Within each type, a number of different grades of flooring are commonly available. Your decision should be based on a number of factors, including cost, appearance, and suitability over your subfloor. 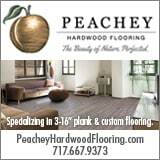 This consists of individual pieces of flooring, typically 1 1/2″, 2 1/4″, 2 1/2″, or 3 1/4″ wide, with lengths between 9″ and 8′. The most common thickness specified is 25/32″, but 33/32″ and 1/2″ thick random-length strip flooring is also available. This surface material is installed like a horizontal brick wall, with each piece being overlapped with adjacent pieces and fastened into the subfloor with cleats, staples, or steel clips, depending on the subfloor chosen for the project. Most subfloor configurations are compatible with random-length strip flooring. This consists of a number of random-length strip segments joined together at the manufacturing plant to form a consistent length board, typically 2 1/4″ wide. The most common thickness specified is 25/32″, but 33/32″ and 1/2″ thick finger-jointed strip flooring is also available. This surface material also is installed like a horizontal brick wall, with each consistent-length board being overlapped with adjacent boards and fastened into the subfloor with cleats, staples, or steel clips, depending on the subfloor chosen for the project. Most subfloor configurations are compatible with finger-jointed strip flooring. Hard maple parquet flooring is manufactured in square and rectangular panels in a variety of dimensions. Individual picket widths range from 7/8″ to 1 1/8″, and picket lengths range from 5 1/2″ to 12″. Minimum thickness is 5/16″. Individual pickets, assembled into panels, are joined together by either wire, mesh, or tape on the back of the panel or paperface on the front (or surface) of the panel. Parquet flooring typically is installed directly to the concrete substrate using adhesive/mastic or over subfloor systems that contain continuous subfloors. 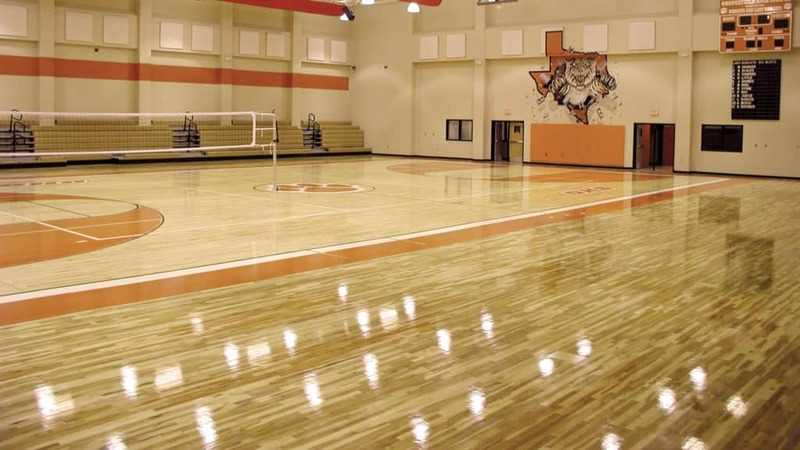 MFMA northern hard maple flooring is the predominant surface material for indoor athletic facilities worldwide. Why? Northern hard maple (Acer saccharum) is dense, strong, durable, and hard. Due to the shorter growing seasons north of the 35th parallel, northern hard maple is close grained, hard fibered, and resistant to slivering and splintering, and polishes well under friction. It is easily covered with attractive finishes. The natural light color is more visually pleasing to athletes, compared to darker hardwoods such as red or white oak. Northern hard maple is densely grained with rich, consistent color and fewer imperfections than other hardwood species. The natural light color also provides an excellent contrast to the paint used to stripe floors for such activities as basketball and volleyball. Northern hard maple has a natural shock-absorbing quality. These characteristics, combined with specially designed and engineered subfloor systems, deliver performance and safety for a variety of sporting and activity applications. For these and many other reasons, it is not surprising that MFMA northern hard maple has been the industry’s first choice for indoor athletic systems for more than a century. 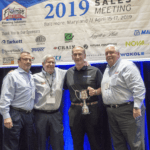 Daniel Heney is the Executive Director of the Maple Flooring Manufacturers Association. He can be reached at dheney@maplefloor.org or visit maplefloor.org for additional information. Installed floating panel floors two layers of plywood or OSB with maple. 25/32nd or 33/32nd. Thirty two rubber pads per panel 1st layer only. 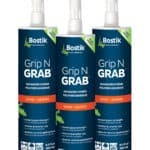 The best multi-function floor in the industry in my opinion have been installing this system for over 40 years.